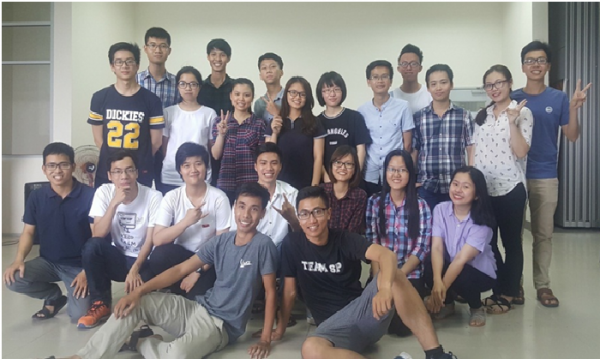 Following the success of back-to-back student exchange activities between Danang University of Science and Technology – The University of Danang (DUT) and Singapore Polytechnic (SP), Temasek Foundation – Specialists’ Community Action & Leadership Exchange (TFI-SCALE) had made a comeback in the summer of 2017. Danang University of Science and Technology – The University of Danang was honored to continue to be on the receiving end thetrust and concern from SP and was invited to be a part of TFI-SCALE 2017 alongside with students from 4 countries: Singapore, Philippines, Indonesia and Thailand. TFI-SCALE 2017 is a student exchange program organized by SP and funded by theBuild People in Education branch ofTemasek Foundation International (TFI), whose aim is to provide students with a creative and dynamic learning environment, equipped them with essential skills such as teamwork skills and leadership skills. Under realistic settings and via the use of the Design Thinking (DT) model, students get the chance to have a better approach to the problems faced by ASEAN Community and together figure out solutions to achieve sustainable development. TFI-SCALE program in 2017 launched with nearly 200 students participating and lasted for 5 weeks, including 3 weeks of inbound training (04/06/2017 – 24/06/2017) in Singapore and 2 weeks of outbound field trip (September – October, 2017) in a local area in co-hosting countries. Aside from developing necessary skills, future student leaders of ASEAN countries joining TFI-SCALE 2017 also get to benefit new knowledge, new experience and strengthen bonds with other countries from increased networks with their peers from across Southeast Asia. To reciprocate SP’s invitation, the Board of Rectors of Danang University of Science and Technology – The University of Danang had directed the Standing Committee of the Youth Union of DUT – UD to arrange the selection process and deployment in all faculties. The selection process was proceeded in 100% English including theResume Assessment Round and the Interview Round, directly by lecturers and students who were TFI-SCALE 2016 alumni. This showed the serious attitude to exchange programs between 2 schools, both aiming at a long-standing and sustainable cooperation relationship. After nearly a month with more than 100 resumes turned in, the Youth Union of DUT – UD finally picked out 23 distinguished students who would represent DUT – UD to participate in TFI-SCALE 2017. Generally, there were students from every faculties on the final list, in which the Center of Excellent, PFIEV, Information Technology, Electrical Engineering, Chemistry Engineering were Faculties/Program with several students taking part in this program. Being topnotch students themselves, 23 members of DUT team were aware of their own privilege, mission and role as representatives of DUT – UD as well as Vietnam in interaction with students from other countries. All members actively set up activities to carefully prepare for the trip. Determined to hold up the image of friendly, hospitable and amiable Vietnamese; of active and modern DUT students, DUT team had had 3 meetings with team-building games to raise the spirit of solidarity and understanding; discussions and constructive criticism on activities before and during the 3 weeks in Singapore. Every single member made comments and expressed their strong points during team activities. TFI-SCALE 2017 came back with a core topic: “Aspire to Lead, Lead to Inspite”. Becoming Effective Leadership Series–For the first time, students got to approach the term “leadership” via analyzing 2 factors, “Internal” and “External”. With SP lecturers as facilitators, students finished various personality tests that helped each of them have a broader perspective on themselves as well as those around them.Before one can be an effective leader, one must understand themselves first. Global Professionalism of 21st Century & Mindful Leadership – “Professionalism” could have seem farfetched and “Mindful” way too peculiar to students first time hearing these terms. However, with their own well of knowledge and personal experience, speakers managed to familiarize those terms to future students leaders. All the talk and sharing about personal experience, discussions revolving these 2 topics piqued students’ interest and inspired them on things they’d thought to be improbable. Go Serve @ Singapore: Willing Heart – Singapore is indeed a developed country, but that doesn’t mean there’s no poverty, no disadvantaged here. Willing Heart is a philanthropic organization and there students had the chance to support the staffs preparing thousands of set meal for disadvantaged individuals or groups. Coming here helped students to truly see for themselves and understand Singapore from another angle, no less excitable compared to other tourist attractions but with the unanimous spirit of hundreds of people, they managed to create something much more meaningful than simple materialistic matter. Singapore Series: The Past, Present & Future – The history of Singapore’s formation and development over the past 52 years was truly a story worth admiration. Students got to find out more about Singaporean history during sightseeing trips and through tour guides’ explanation as well as SP friends’ help. Considering Prime Minister Lee Kuan Yew’s macro vision on the development for his own country ever since the first establishing day, Singapore truly is a prime example for other Southeast Asia countries. Hackathon – “Hackmarathon” was literally a race against time when students only had 6.5 days to both study about Design Thinking – a totally new model and implement it to solve a specific problem came up by SP’s industry partners. Nonetheless, by putting efforts and uniting together, students brought forth nearly 40 ideas that were both creative and feasible. A Gallery Walk was set up and attracted the attention of many students, lecturers as well as CEO of the industry partner. Buddy Team – an essential part of the 3 weeks in Singapore that could not go unmentioned. Each student got paired up with a “buddy” who was SP student. The stunned feeling of their first time being in Singapore, first time interacting with an advanced learning environment in such a grand polytechnic soon faded with the wholehearted help from their buddies. The 3 inbound weeks in Singapore would have been truly incomplete without SP buddies. Goodbye isn’t always the end! – In the Closing Ceremony for TFI-SCALE 2017, student Nguyen Thanh Binh said: “Remember that there is no real ending to any stories, when something come to an end, there will be another new beginning waiting for us at the end of the road, we will surely meet each other again someday.” Indeed, to students from Philippines, Indonesia and Thailand, this might be the end of 3 interesting weeks in Singapore, but surely friendship would always be in the heart of every Vietnamese student. To SP friends, noone knows what the future holds but two things for sure: you are reuniting with DUT team for 2 weeks in Vietnam in September and you are going to have a blast with many new experience here. Neither too short nor too long! – 21 days of learning and living in Singapore had been an unforgettable experience to every member of DUT – UD team. 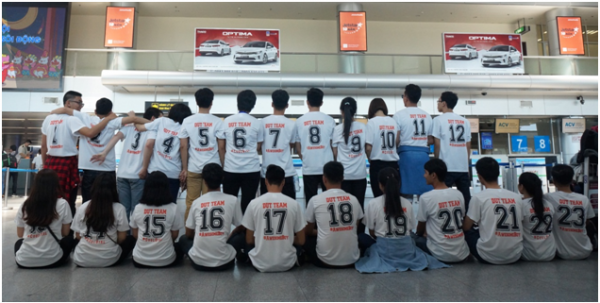 Every passing day was full of stories, of inspiring sharing, when 23 Vietnamese students united together to get through difficulties and keep the spirit of “DUTer and Proud”. There’s no guarantee how much they can dedicate to their home country but one thing’s for sure: they have become a better version of themselves, more mature and always ready to inspire. “Aspire to Lead, Lead to Inspire”.